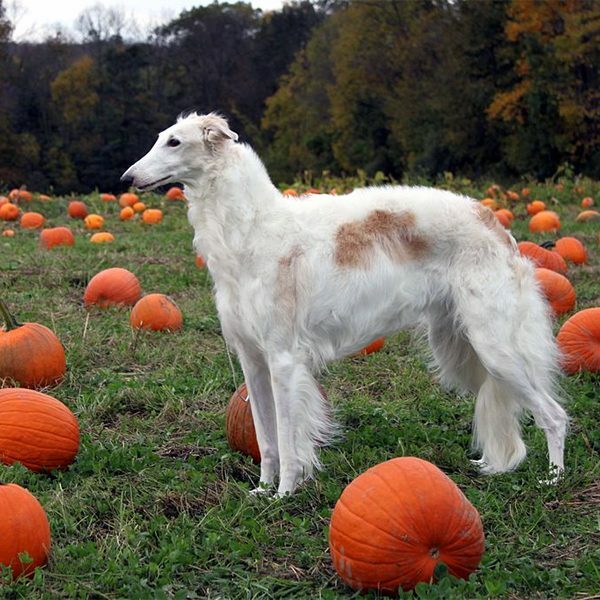 Jeffrey Welch's Blog: Can Dogs Eat Pumpkin? What About Other Fall Vegetables? Every Saturday, I help my friends Rochelle and Will work on their urban farm here in Durham, North Carolina. A few weeks ago, Rochelle said our task for the day was to get the fall vegetables planted. To a large extent, fall fruits and veggies are those whose period of growth is rapid enough that they can be put in the ground after the summer harvest and ripen before the year’s first frost. The tiny farm dog, Sugar, joins us outdoors on many farm days. 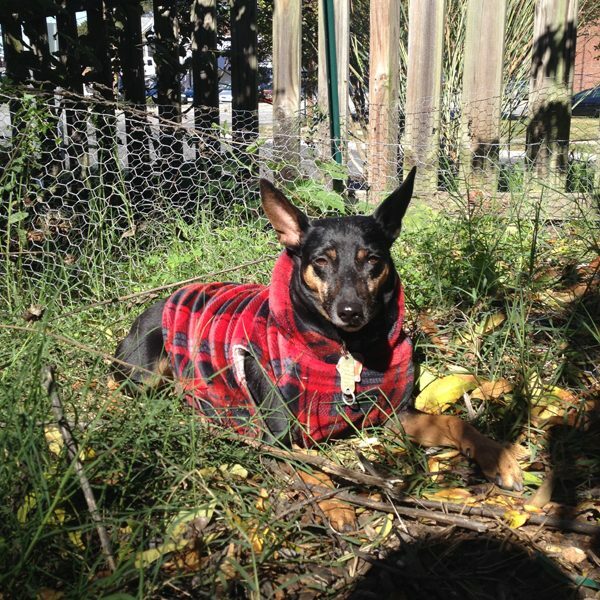 Is any of the produce we grow on the urban farm fit for canine consumption once the crop comes in? 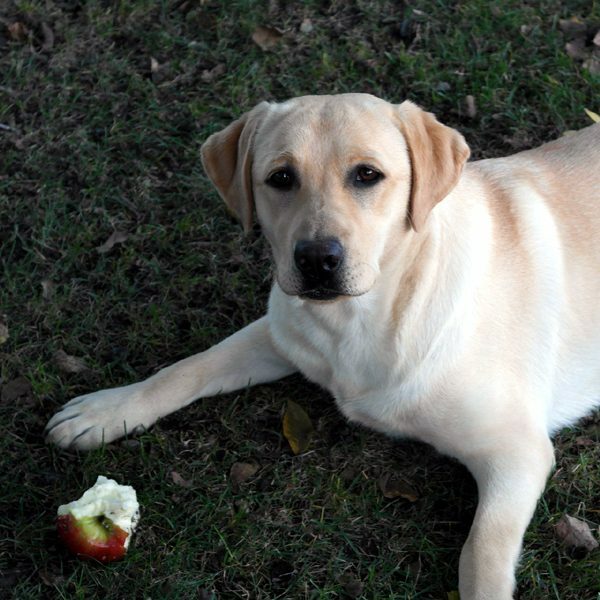 While apple stems and seeds have very small amounts of Amygdalin — a chemical compound that breaks down into cyanide when pulverized and digested — the seeds are so durable, and your dog would have to eat so many, that they present no real danger. All the same, wash the skin of an apple thoroughly to remove any lingering chemical treatments and cut the fruit into easily chewed slices. Note that too much of any sweet fruit can cause temporary stomach upset. According to every source I consulted, including the ASPCA, beets are non-toxic for dogs. Fresh, washed, and home-prepared beets are always going to be preferable to canned. This is due to the presence of added salt and preservatives, which may bother your dog’s digestive system. According to one vet, repeated beet eating by dogs may perform a slight dye job on their hair and skin, but no adverse effects! Several of the vegetables on our list — cauliflower, cabbage, broccoli, and kale, are members of the Brassicaceae family of flowering plants. Like the broccoli it so closely resembles, cauliflower presents the same antioxidant benefits — limited though they are — and the amount that a dog can eat safely before affecting a dog’s digestive regularity is equally small. Prepared plainly, a bowl of oats has some digestive benefits for dogs, particularly those with bowel movement troubles. Always consult with your dog’s veterinarian before making wholesale changes to a dog’s normal diet. 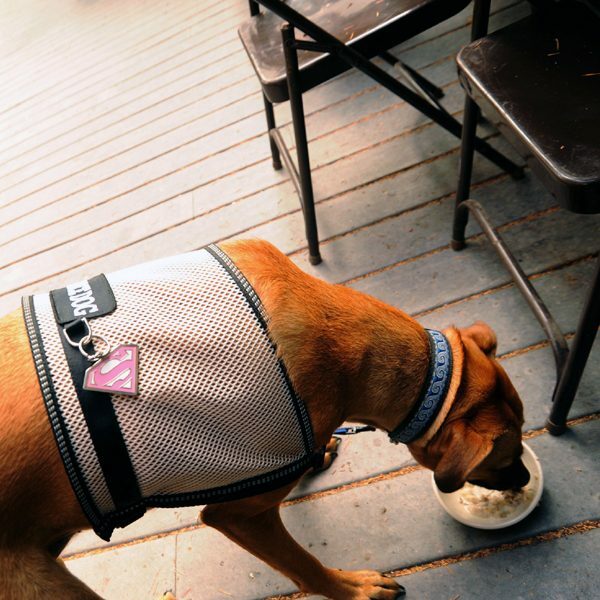 While oats and oatmeal are safe for dogs, keep raisins, sugar, and milk out of the dog’s bowl. While the dangers that raisins and grapes present to canine life and health are usually presented with apocalyptic alarmism, we’ll let it suffice to say that both should be kept away from dogs. It has been long and widely acknowledged that pumpkin has definite benefits for dogs, especially those who are having temporary trouble executing successful bowel movements. Surprisingly little goes a long way. PetMD recommends only a tablespoon of pureed pumpkin mixed in with a dog’s regular food for relief of both diarrhea and constipation. Note that it should be as plain as possible, so pumpkin-pie filling is out, since it is typically saturated with sugars that may only exacerbate loose stools. As long as the sweet potato is fully grown, matured, and prepared very simply, your dog may enjoy a bit of this fleshy orange fall vegetable. Boiled, baked, or even dehydrated sweet potato slices are safe for dogs to eat. They are high in carbohydrates, which dogs don’t need an excessive amount of in their diets. Keep your serving sizes small or limit the number of prepackaged sweet potato dog treats you offer your dogs. The post Can Dogs Eat Pumpkin? What About Other Fall Vegetables? appeared first on Dogster.